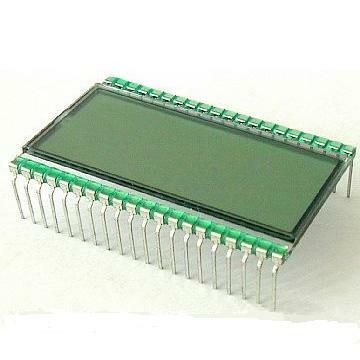 LCD:Liquid crystal displays (LCDs) are a passive display technology. This means they do not emit light nor any radiation; instead, they use the ambient light in the environment. By manipulating this light, they display images using very little power. This has made LCDs the preferred technology whenever low power consumption and compact size are critical. Liquid crystal (KLC) is an organic substance that has both a liquid form and a crystal molecular structure. The rodshaped molecules are normally in a parallel array, and an electric field can be used to control the molecules. Most LCDs today use a type of liquid crystal called twisted nematic (TN) . 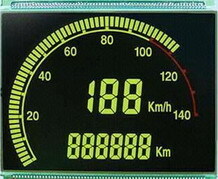 LCDs consist of two pieces of glass with transparent electrodes printed on the internal surfaces. An alignment layer on each glass surface is used to twist the liquid crystal material in a helical or "twisted" pattern. Polarizers are used on the outside front and rear surfaces. When the LCD is "off", no voltage is applied to the electrodes, and light passes through the LCD.